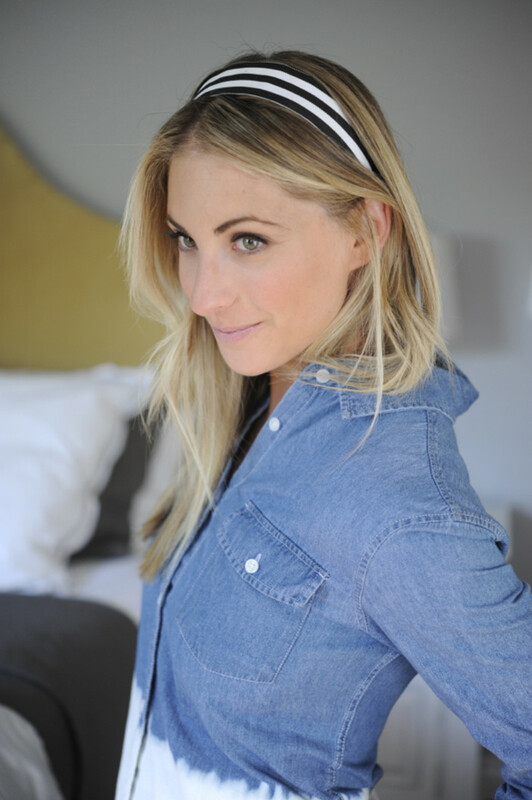 I love the look of wearing ribbons in my hair - wrapped around a ponytail or in lieu of a headband. 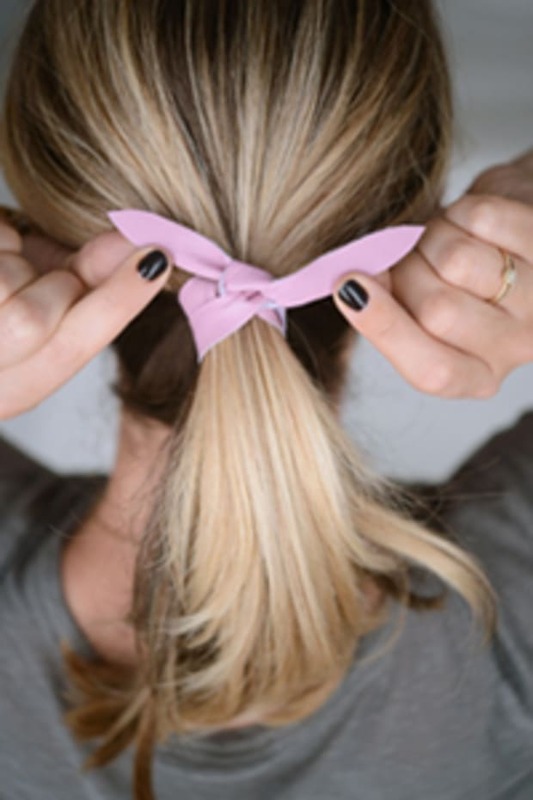 The problem with simply tying a ribbon in your hair is that it falls out...within minutes. 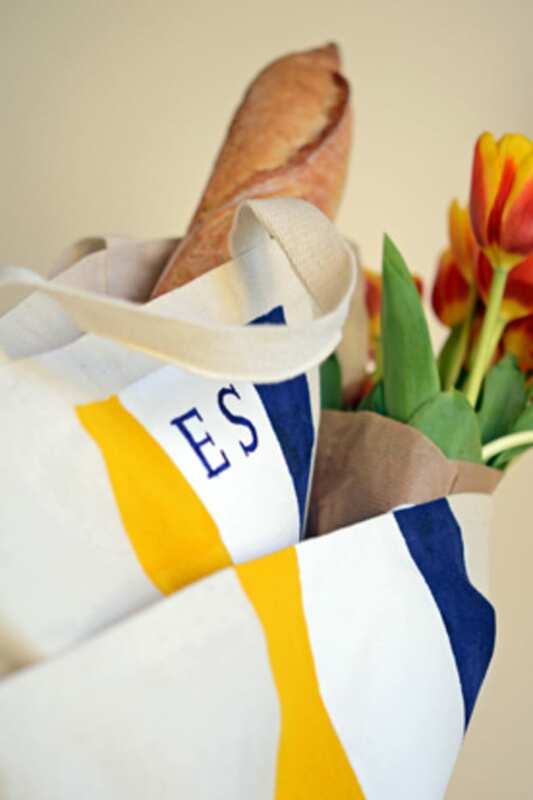 So I came up with an easy way to channel the same preppy look in a few simple steps. Best of all, it can be done with things you have lying around the house and costs only a few dollars. 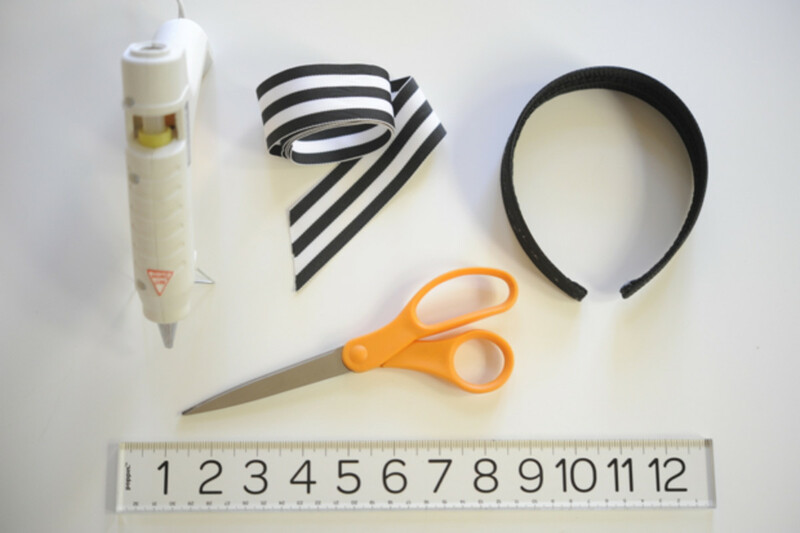 Tools: Glue gun, grosgrain ribbon, a headband (roughly the same width as the ribbon), scissors, a ruler. 1. 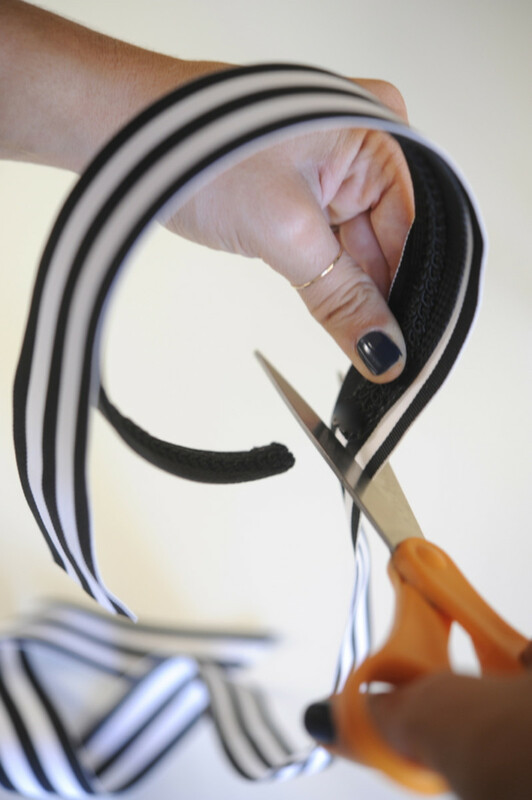 Lay the ribbon over the headband to get a general idea of how long to cut it. 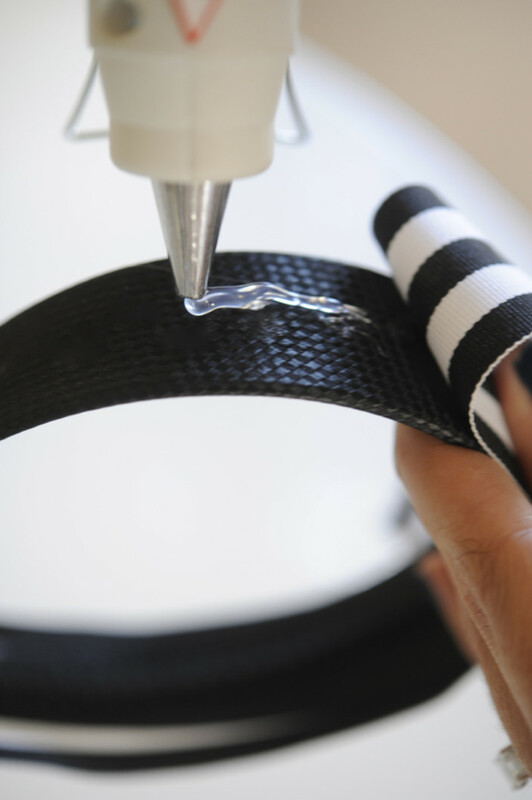 Make a mark and then using your ruler, trim it to the exact size. 2. 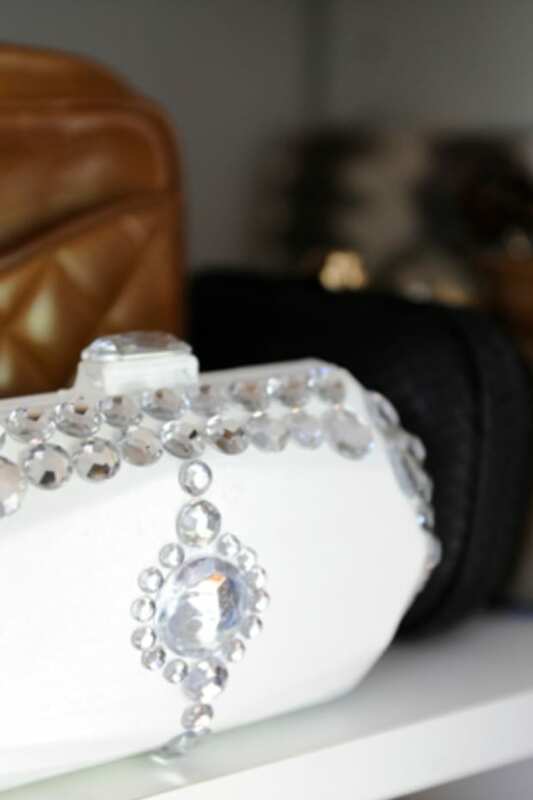 Working a few inches at a time, add hot glue directly onto the headband. 3. 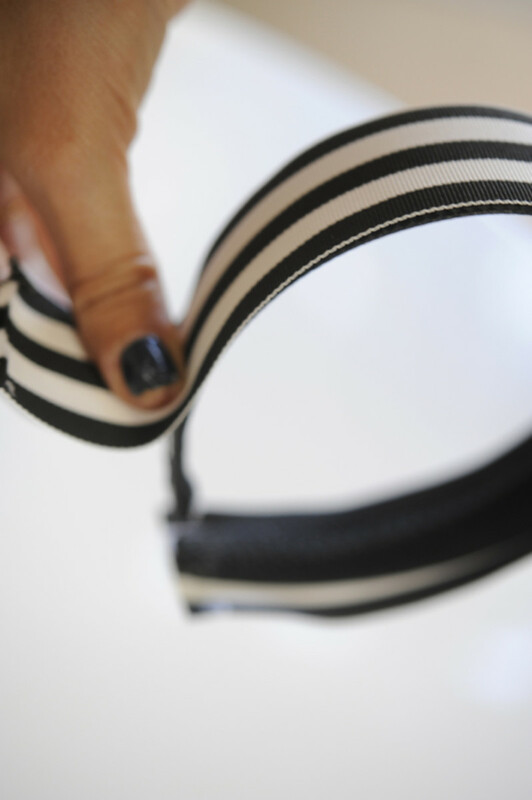 Pull the ribbon taut (while making sure it&apos;s centered) and adhere it to the headband, smoothing it out as you go. 4. 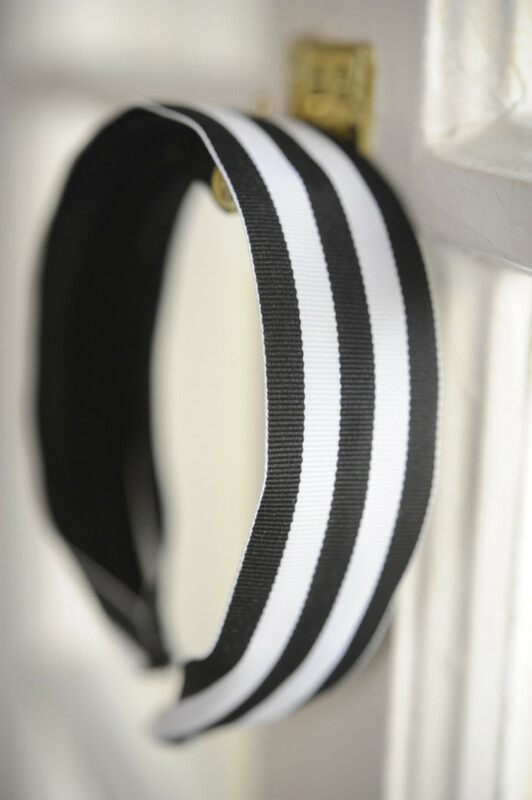 On the edges of the ribbon, add a dab of hot glue and then fold in at the base of the headband for a tapered, more tailored look.